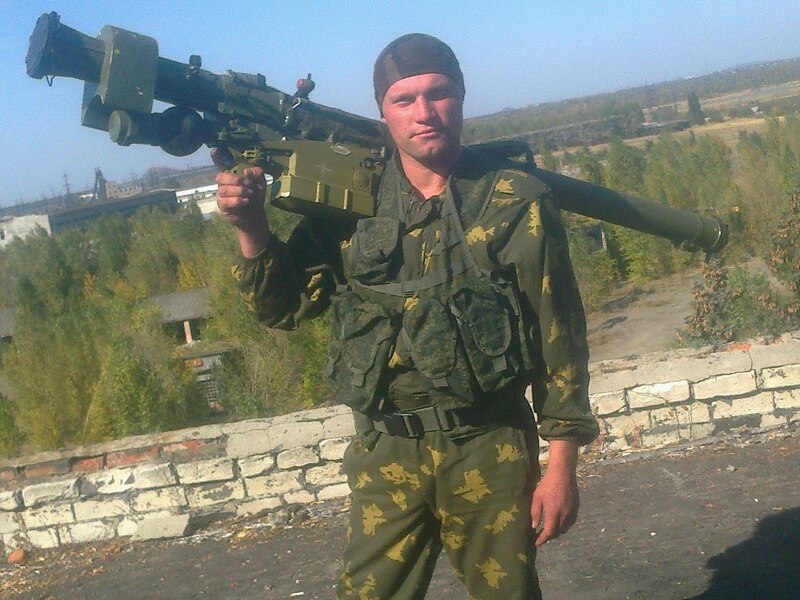 Sergey Polkanov, Russian soldier with Igla-S (SA-24) SAM near Donetsk in Ukraine. Return to Russian soldiers in Ukraine with modern 9K338 Igla-S (SA-24) SAM. Geo-located near Donetsk.